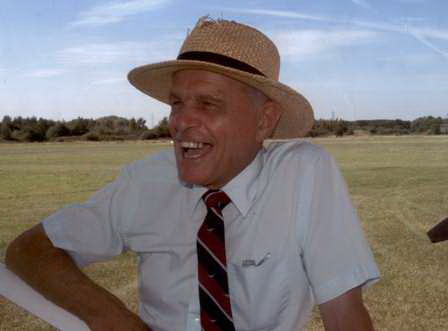 Sadly we have to report the passing earlier this week of Stewart Jackson, one of the longest-serving members of the LAA, and before that PFA, committees. Stewart, from Leicestershire was one of the founders of the East Midlands Strut in the 1960s and was subsequently a representative on the PFA National Council, later on the Executive Committee and LAA Board. He subsequently became a vice-President and in 2013 was awarded a Royal Aero Club Silver Medal for his efforts. He recently returned to the Strut as a co-ordinator for the second time. His ability to arrange speakers at the monthly Strut meetings was incredible. He was fearless in approaching anyone irrespective of seniority, rank or fame. They rarely missed speaking! Stewart was a founding trustee of the “Turbulent G-APNZ Preservation Society” - a charity set up at Derby to restore this Turbulent once flown in 1959 by HRH The Duke of Edinburgh. G-APNZ will fly again this year. www.theturbulent.co.uk. Stewart was also a tireless supporter of the DH88 Comet G-ACSP “Black Magic” restoration project at Derby. He presented his “Comet road show” at venues across the country for many years to spread the word and made numerous approaches to donors and sponsors. www.cometracer.co.uk .